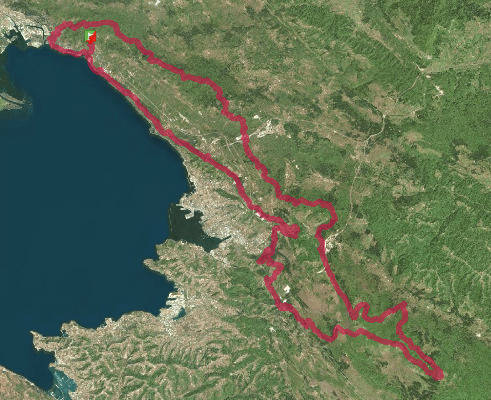 S1Ultra is born, a breathtaking 100 miles race, suspended between the Gulf of Trieste and the mountains of Slovenia. Run on the very border between sea and mountains, between Italy and Slovenia and Croatia: a razor’s edge that represents the perfect balance of contrasts. A route entirely marked along the most beautiful and hidden trails of the Italian and Slovenian Karst, many of which are beaten and rediscovered only during this race: pure trail running. The S1 Ultra contains a perfect mix of fast and technical terrain, glimpses of sea and mountain sections that sometimes can also be whitewashed (not snow-covered in order to request special snowshoes or skis). The only 100 miles suspended between sea and mountains, which runs in balance on the borders between Italy, Slovenia and Croatia, where you breathe the spirit of Alpe Adria breathing mountain air by the sea. The 100 miles of contrasts: broken sections interspersed with technical terrain, uncontaminated forests far from population centers in the heart of Slovenia and views of the beautiful city of Trieste. Satellite tracking of each competitor: even if the route is marked and you do not need maps and GPS, everyone will be provided with a satellite locator to ensure maximum security and allow friends to follow the race.